Ocean Club Resort, Turks and Caicos. Not to be confused with its Ocean Club West sister resort, Ocean Club is a beachfront resort with a relaxed atmosphere. Choose from single bedroom studios, and one, two and three bedroom suites. A shuttle provides complimentary transport between both Ocean Club resorts, and guests are welcome to enjoy many of the amenities of the sister site. 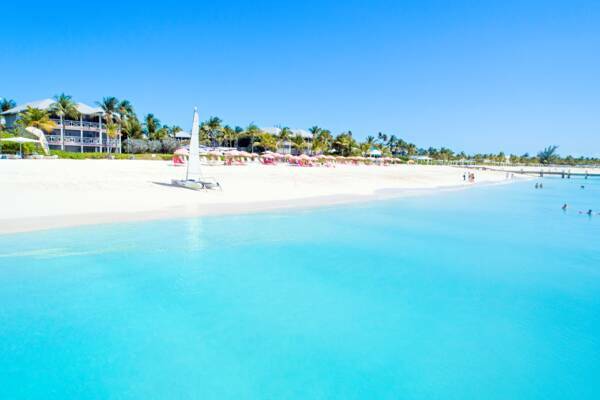 The tranquil Ocean Club Resort on Grace Bay Beach.